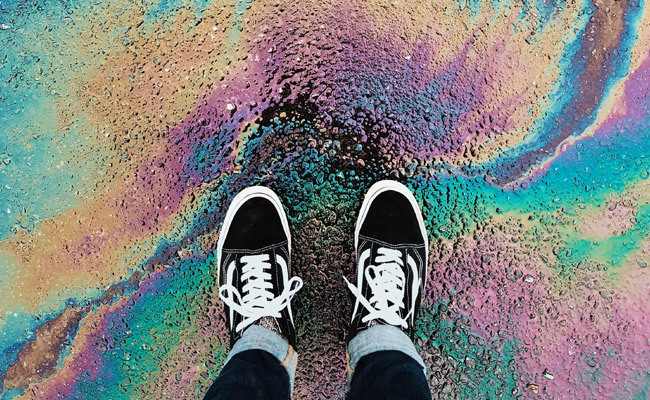 Oil spills are catastrophic anywhere in the world, with massive consequences for the environment, as well as for human health due to the toxic oil compounds that accumulate in our food. Despite numerous clean-up efforts, including mechanical recovery and burning off the spilled oil (close to the spill location, called in-situ burning), it is tiny bacteria in the water that carry out the bulk of the clean-up operation. These oil-eating microbes play a major role in degrading the oil and reducing its environmental impact. Meet Alcanivorax borkumensis. This rod-shaped microbe lives in all of the world's oceans with a special preference for oil-polluted areas, as it uses hydrocarbon molecules for food. The bacterium's genome was sequenced more than 10 years ago by a couple of researchers from the German Research Center for Biotechnology, but now another team has gone deeper, identifying the enzymes the bacteria produce to break down crude oil and gas. These bacteria thrive in polluted waters. Theoretically they can be kept in stock in oil-rich pools, ready to be deployed to a spill site when necessary. Also, they could probably be modified to become even better oil eaters. This will turn them into a cheap, easy to use solution to the problem that had plagued the oil industry for decades, especially since the seriousness of oil spills reached the limelight in recent years. Preventing these oil spill catastrophes is of course the most importing thing, but with these bacterias we can at least reduce the impact on the environment significantly.